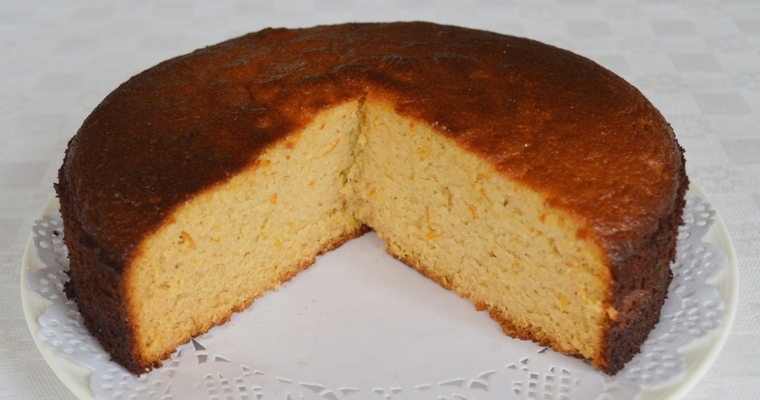 Santiago cake is a flourless almond cake that originates from the Galicia region of Spain. It is a rustic cake that is simple to make and inexpensive, as it contains so few ingredients. What you get in return for your minimal investment is a light, moist cake, tipping almost into pudding territory, that is richly redolent of marzipan. As with all flourless cakes, do allow the cake to cool for at least 10 minutes before turning it out of the tin and onto a wire cooling rack. Otherwise there’s a danger your lovely cake will fall apart at the critical moment, in the absence of stretchy gluten molecules holding everything together. Preheat the oven to 160°C/320°F. Lightly grease the sides of a 20cm/8″ round, deep and loose-bottomed cake tin with olive oil, and line the bottom with baking paper. In a small bowl, measure out the dry ingredients (ground almonds and cinnamon). In a large mixing bowl, measure out the wet ingredients (egg yolks, honey, lemon zest, orange zest, almond extract and orange juice). Pour the mixture into the prepared tin, and transfer to the preheated oven. Bake for 50 minutes – 1 hour, until golden on top and springy to the touch. Rest a sheet of tin foil on top after 40 minutes, to avoid over-browning. The lemon and orange in this cake rock! The perfect recipe for the perfect birthday cake! Remove: all the lemon and orange zest, orange juice, cinnamon and almond extract. Reduce almond flour to 2 cups. Add: 1/3 cup coconut flour, 1/2 tsp baking soda, 1/2 tsp salt, 1/2 tsp cayenne to dry mix. Add zest of 4 limes and 1/2 cup lime juice. The coconut flour sponges up the extra juice, which is delightfully complemented by the cayenne and salt kick. Thanks again for the wonderful recipe and explanations! Hi Neil, thanks for sharing your variation. That sounds like an awesome cake – a bit reminiscent of a cornbread recipe in terms of the seasoning that you’ve added. I like the idea of blending sour limes and piquant cayenne into a sweet cake, in order to create an unusual balance of flavours (i.e. not just sweet). 6. Pour batter into a 20cm/8″ round, deep cake tin (prepared by lightly greasing the sides with olive oil, and lining the bottom with baking paper). Bake in a preheated oven at 160°C/320°F until springy to the touch – about 45 minutes – 1 hour. Tent with tin foil after 40 minutes to avoid over-browning on top.